A jangada’s stern. 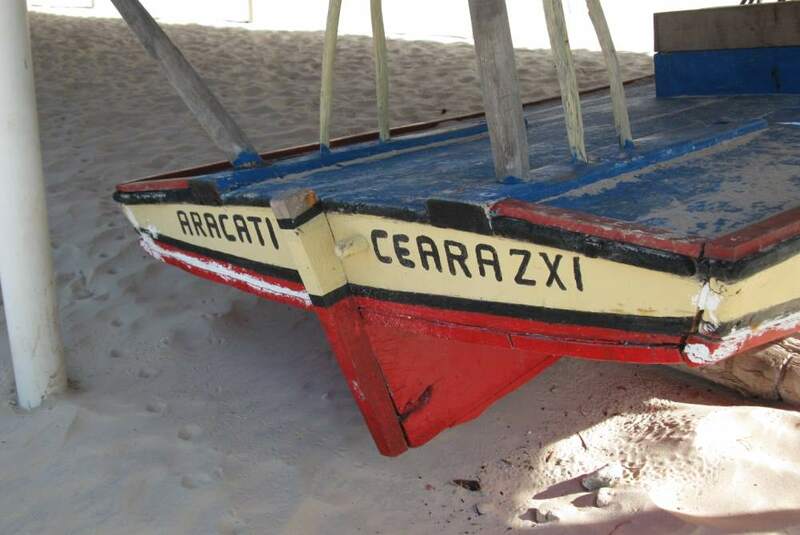 This shows the wood plug in the transom (next to the ‘C’ in CEARAZXI) which is pulled when a jangada flips over at sea. This allows the hold to fill with water, making it easier to right the hull.